In this third chapter book about Warren and his alter-ego Dragon, an important lesson is learned in generosity . . . and exploding volcanoes! Warren has been invited to a birthday party by one of his new classmates, so it's birthday present shopping time! And the first toy he spots, a Deluxe Volcano Building Set Supreme is perfect . . . for himself. It's too much money, his mother tells him, choosing another gift for his classmate. 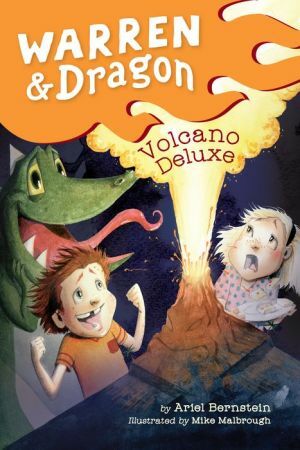 But Warren can't stop thinking about exploding volcanoes, and soon he and Dragon are thinking up ways to make money and buy the volcano set for themselves. A bake sale? A magic show? A car wash? All great ideas...that is until Warren's sister misinterprets their personal fundraising for charity fundraising and decides that everything they earn should go to the local children's hospital. Does this mean that Warren and Dragon will have to give away all the money they make? Goodbye Deluxe Volcano Building Set Supreme!